? A COMFORTABLE FIT- 14" tall included the slip resistant sole, 15" open circumference with fur Lace-up fronts allow you to adjust the tightness. 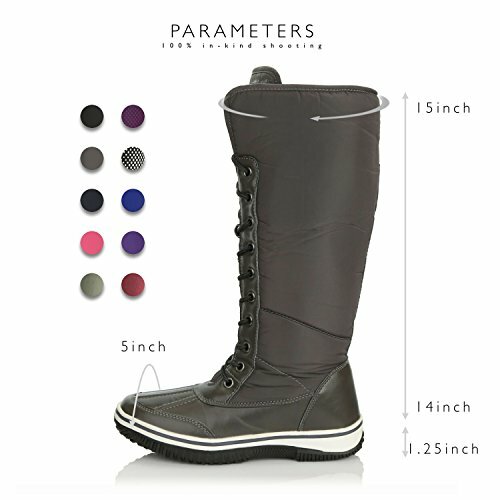 Side zipper with sealed for easy fit and keep the moist and snow outside.
? STAY WARM IN THE WORST OF WEATHER-Even when temperatures are frigid, you'll feel warm and toasty in the DailyShoes Alaska Women's Rubber & Faux Fur Snow Boot. These winter boots are lined with a plush sherpa material that seals in body heat, and the tops are finished with fur lining and trim that provide additional insulation. 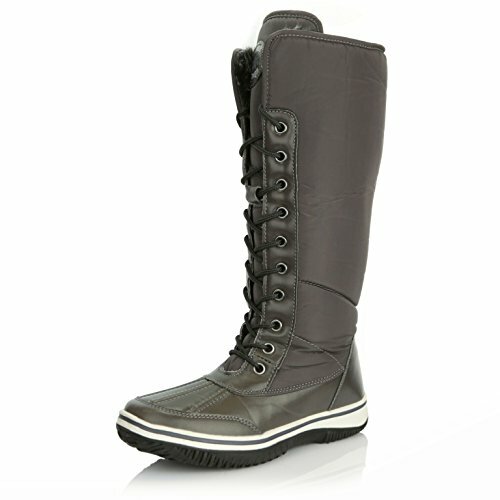 You can lace up the fronts of the boots as tightly as you need to in order to keep cold air out.
? 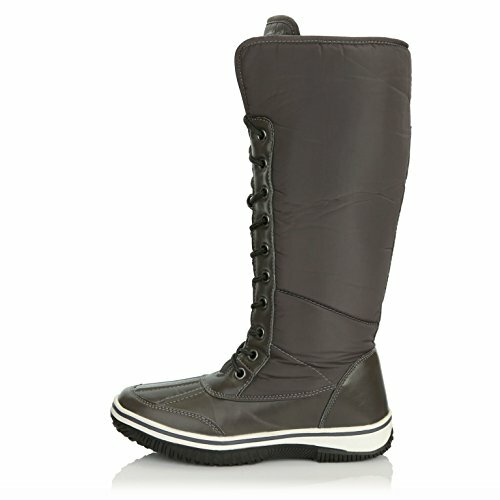 Featuring a handy zippered side storage pocket, the DailyShoes Alaska Women's Rubber & Faux Fur Snow Boot can hold your keys, cards and other items when you head out in the snow.
? 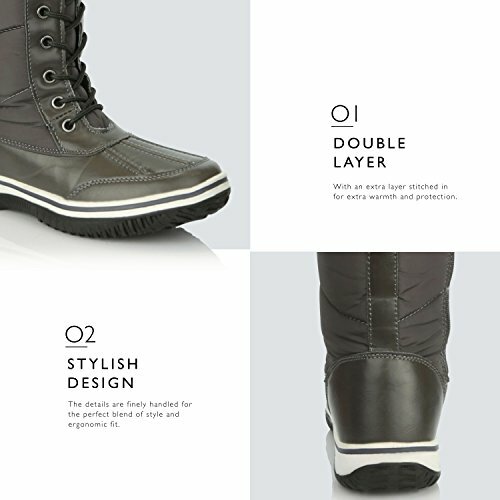 Every part of the boots is made from the finest quality materials to ensure that you'll get not just a winter's worth of wear from the boots. 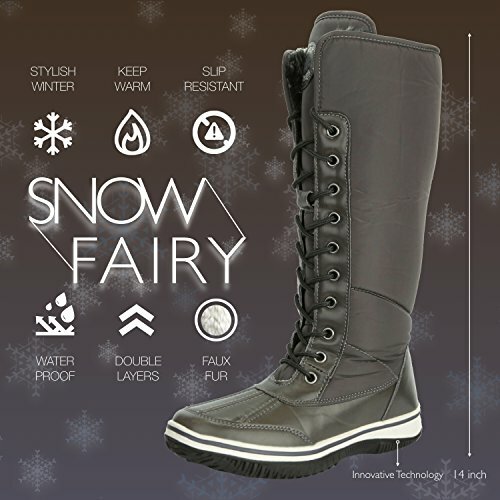 You'll be enjoying these stylish snow boots for years!
? NO SLIP SOLES Deep lugs in the rubber outsoles help you maintain traction. ? STAY WARM AND COZY Luxurious faux fur trim along the tops and sherpa lining keep your feet toasty. When winter makes your town or city look like the Alaskan wilderness, you can't afford to leave the house in just any boots! The DailyShoes Alaska Women's Rubber & Faux Fur Snow Boot is the one to choose when weather is at its worst because it will keep your feet dry, warm and feeling comfortable!